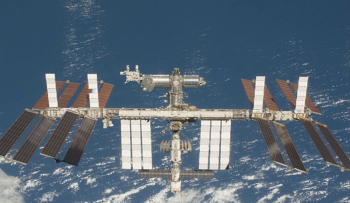 While a great deal of attention was paid to ISS during its construction phase, the Station – a National Lab of the United States – has been entrenched in its all-important utilization phase for the last five years, hosting thousands of astronomy, astrobiology, and physical and medical sciences experiments. Now, so great is the research demand on Station that the Program is facing a backlog of research and development requests as well as a shortage of crew time for those petitions. As part of a standard review process multiple times per year, the International Space Station Program presented a status update to the NASA Advisory Council (NAC) earlier this month. During the review, the ISS Program specifically discussed aspects related to the utilization efforts of the Station’s resources for the numerous scientific experiments and investigations the orbiting lab was specifically designed and constructed to address and host. 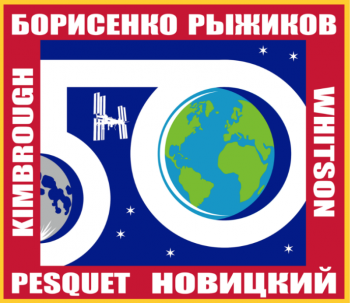 For increment 50 specifically, Mr. Scimemi noted that that there are 304 total investigations the Expedition 50 crew will participate in. 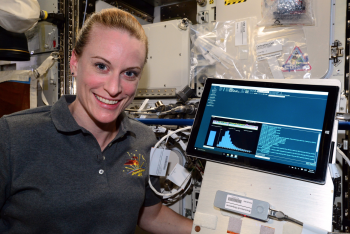 While that might seem like a significant number for the 6 person crew, Mr. Scimemi, along with NAC chair Wayne Hale, noted that Peggy Whitson’s presence on Station as Commander will be a boon to the management of the visiting vehicle cargo resupply schedule, the upcoming January EVAs, and the experiment/utilization schedule. Dr. Whitson was specifically referenced because of her “exceptional management of the construction and utilization schedules” during the Expedition 16 increment, for which she was also Commander. Regardless, the management of increment 50’s utilization time with the daily activities on Station comes fresh off an exceptional increment 49 accomplishment, which saw a rise in utilization activities on Station due in large part to a lack of EVAs and only one visiting vehicle. As Mr. Scimemi noted, “The last increment … really did a great job doing a lot of utilization. And one of the main reasons for that is there were no EVAs and we only had one cargo vehicle come to the Station. 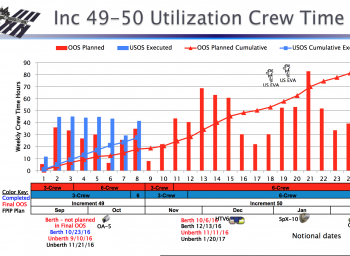 In fact, increment 49 was able to average 42 hours of crew time for utilization per week with an increment that largely only consisted of three crew members instead of six and also performed well above the planned crew utilization time every single week of the increment. Mr. Scimemi not only attributed that to the lack of EVAs and visiting vehicles but also to planning. “We’ve learned over the last several years now how to better schedule the crew on the things that are required for them to do. We’ve gotten better at jumping between what’s required for maintenance and the other daily crew activities with utilization. This overperformance of utilization time in increment 49 continues a longer-term trend to continuously outperform scheduled utilization time. “We’re consistently above our targets. We’re supposed to do about 35 hours per week; we’re doing well above that. Sometimes as much as 45. But most times it’s just around 40 hours,” noted Mr. Scimemi. And all of this utilization time serves the primary roll the ISS was constructed to fulfill – an orbital platform for science investigation. Continuing a trend to highlight for the NAC an on-going research initiative on the Station, Mr. Scimemi noted the soon-to-be-concluded Functional Immune Research investigation. The final element of the investigation began in March 2014 with Expedition 39 and is set to conclude next year with Expedition 52. 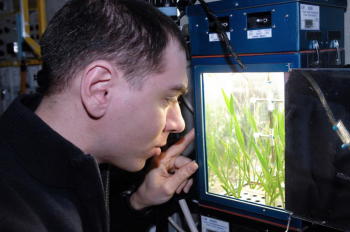 “There are changes to the immune system in space,” noted Mr. Scimemi. These changes have “some negative implications in the physiological stresses, latent viral reactions, reactions to the immune cellular response and the like. Importantly, the research has implications on the ground for people who have immune issues, i.e. : cancer, persistent viral reactivation, chronic allergy/hypersensitivity, infectious diseases, and autoimmunity. 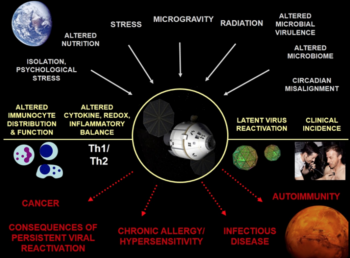 The research specifically focuses on changes to the immune system brought on by one of or a combination of isolation, psychological stress, altered nutrition, stress, microgravity, radiation, altered microbial virulence, altered microbiome, and circadian misalignment. Impressively, above and beyond the already on-Station investigations, the Center for the Advancement of Science in Space (CASIS) has recently signed agreements with both the National Institutes of Health (NIH) and the National Science Foundation (NSF) for multimillion-dollar agreements to do Research and Development (R&D) onboard Space Station. The newly signed CASIS agreements work on a scientist to scientist and project to project basis with the NIH and NSF – two immensely important research organizations in the U.S. 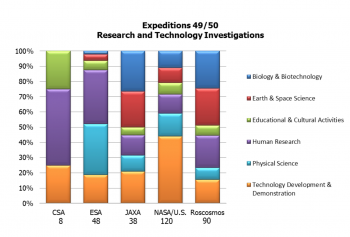 Through CASIS, Mr. Scimemi noted, NIH and NSF R&D has increased on orbit with 58 research investigations delivered to Station in Fiscal Year 2016 (1 October 2015 – 30 September 2016) alone. Also of important note is the backlog of research requests from commercial and government agencies CASIS has lined up for ISS. 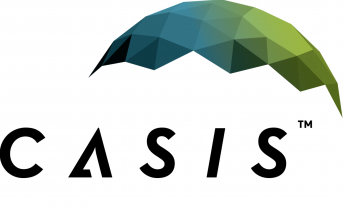 According to Mr. Scimemi, CASIS’s “investor Network has increased to 33 investors, and many of these are investors who typically help out smaller companies, startups. Moreover, according to the ISS Program presentation to the NAC, the “ISS – National Lab (ISS-NL) CASIS project pipelines continues to attract and enable non-traditional space customers. All of this is to say that while the Station’s structure and systems continue to outperform their lifetime expectancies, the main reason the Station exists is thriving as Expedition after Expedition produces meaningful, groundbreaking investigations thousands of times over to aid not just humanity’s quest to travel farther away from our home planet, but people around the world in their everyday lives and health.